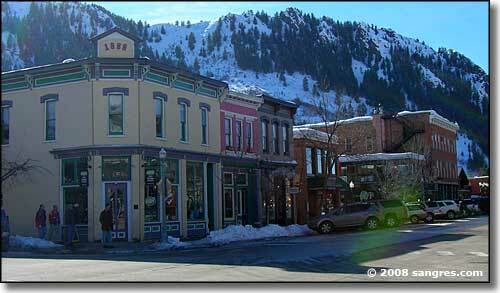 For all the hype about Aspen, I found it a pretty friendly little town. Lots of Victorian architecture still available (although the modern architects have put in a lot of stuff that's obviously not original - although most of the recent additions do blend in nicely). I was surprised to see so many folks walking the streets carrying skis and wearing ski boots, but then I remembered how close the slopes are to the town's center. 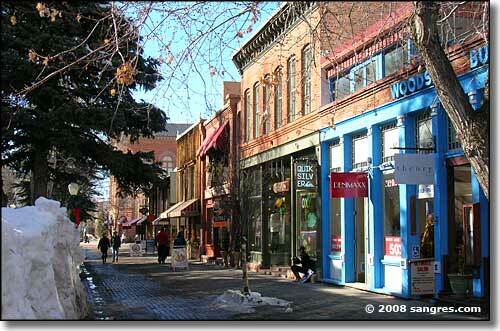 Aspen was founded in 1879, during Colorado's Silver Boom. 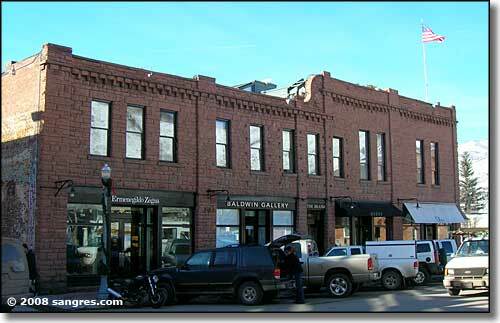 Aspen early on surpassed Leadville as Colorado's most productive silver-mining district. 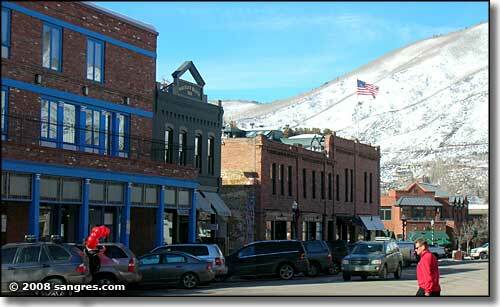 1890's Sherman Silver Purchase Act doubled the government's silver purchases and Aspen truly prospered. Until 1893, when President Cleveland called a special session of Congress and had the Silver Purchase Act repealed. Within weeks, the Panic of 1893 took hold of America and nearly all of the silver mines around Aspen closed down. Thousands of miners were put out of work, millions more across America lost their jobs, too. 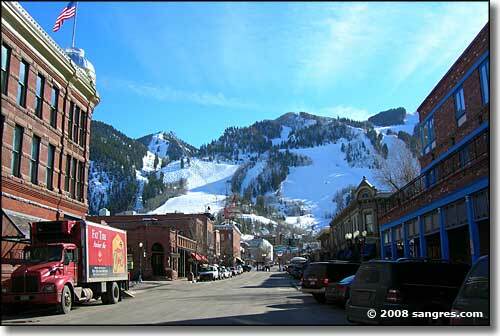 Aspen's population dropped from 12,000 in 1893 to 705 in 1930. In the mid-1930's the first flickers of a dream ski resort in Aspen occurred, but the actualization was interrupted by World War II. The modern vision that we all have of Aspen is a result of the influence that the Aspen Skiing Corporation and its founder, Walter Paepcke, had over the remains of the old mining town of Aspen. 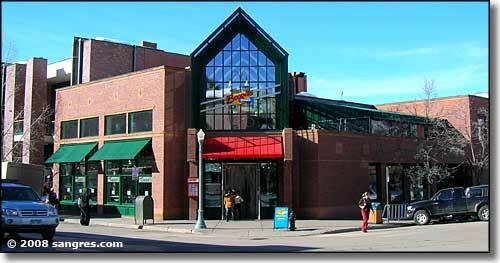 Paepcke came here in 1946 and founded the Aspen Skiing Corporation. Aspen Skiing built the Aspen (Ajax) Mountain Resort. 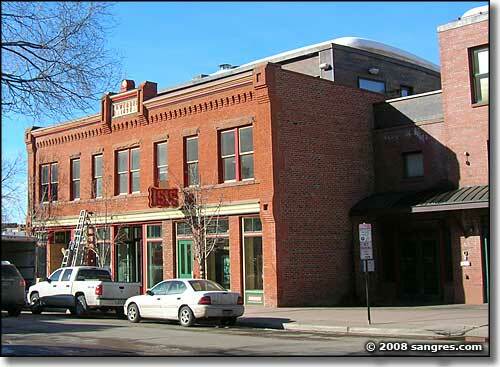 He also founded the Aspen Music Festival and School, and the Aspen Institute. Paepcke's vision was of Aspen as a utopian community of the mind and body: a cultural center with a 5-star resort and spa. That vision has made Aspen an international year-round destination for business, the arts, recreation, and comedic and intellectual discourse (the US Comedy Arts Festival occurs in Aspen every year). Buttermilk Ski Resort was built in 1958, as was Aspen Highlands. Snowmass Resort and Village were built in 1969.